“Deadlines are funny. Sometimes when you’re forced to have something on the page, it ends up being something that you needed to say for a long time,” recalls Christie Clause ’20. In April, two Gordon students were recognized in the National Federation of State Poetry Societies College Undergraduate Poetry competition. 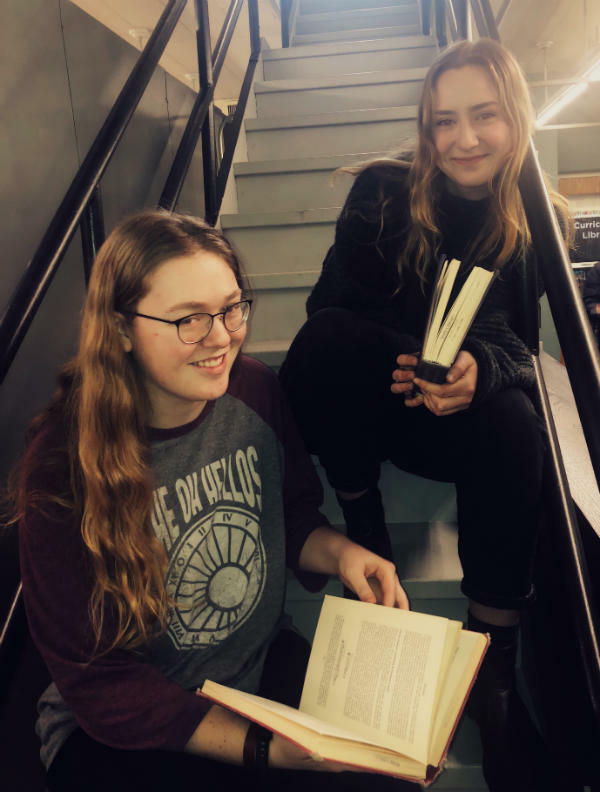 Kara Applegate ’18 and Clause, two creative writing students at Gordon, received first and fifth place honorable mentions among submissions from students at schools like Stanford, Columbia, Oberlin and the University of Michigan. For the undergraduate poetry competition, Clause submitted a collection of poems called “Things to Remember,” which highlights moments she wants to be able to recall later on in life. “Even though they’re all different in subject matter, they all come down to similar themes of time passing, healing, acceptance and renewal,” she says. Moons ago you broke orbit to reach me. seems to bring me back to you again. of stale bread stuck firmly in our teeth. so we pray to it knees bent in the end. point me to whom I owe everything. Clause submitted “Indebted” as a part of her poetry collection for the undergraduate poetry competition. The collection received fifth place honorable mention.